Breakfast at McDonald’s has left two French soldiers, who are part of the counter-terrorism Operation Sentinelle, without their assault rifles and ammunition, local press reports. 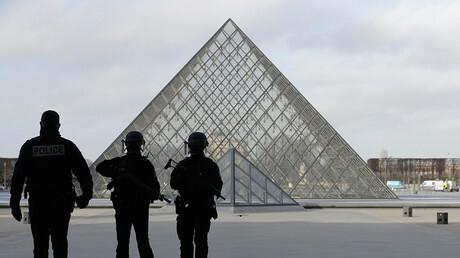 The robbery comes amid an extended state of emergency in France. Weapons from the soldiers’ car were stolen on Thursday afternoon in the La Vespilliere area in the country’s northwest, according to the 20minutes website. At the time of the robbery, the two troops were having breakfast inside the restaurant. Their van was white and did not have any indications it belonged to the army or police, or that it contained weapons. Two assault rifles, as well as ammunition for 9mm automatic pistols, were stolen through a broken window, Le Parisien reports. The ammo cannot be used for the stolen rifles. A search operation was immediately launched, with a few dozen police and a helicopter involved. A few hours later, the car of the purported criminals was discovered in the neighboring Villefontaine commune, and a special team arrived at the scene to check the vehicle. The stolen weapons were not, however, found in the car, and the investigation continues. The operation also involved protecting locals. France Bleu reported that at about 6:45pm local time, families in the area were told not to leave their homes. 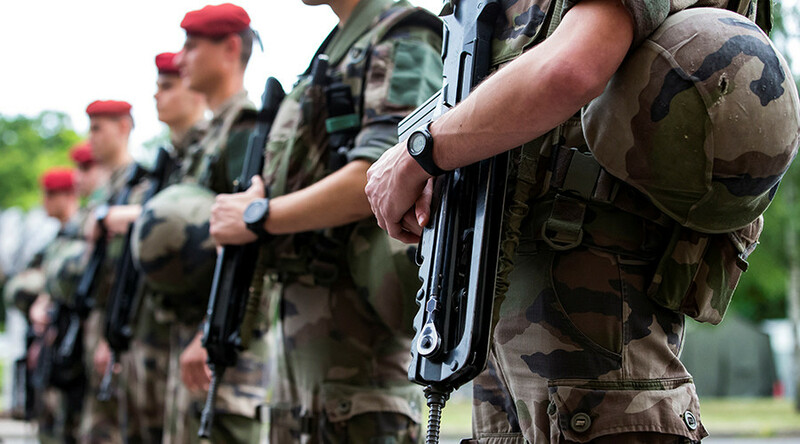 The soldiers involved in the incident are part of the nationwide Operation Sentinelle, which began after the January 2015 Charlie Hebdo attack. For the past two years, France has seen an unprecedented number of terrorist attacks. In January 2015, the Paris offices of the satirical magazine Charlie Hebdo were attacked, and several shootings and a hostage situation took place in the region. In November 2015, a series of coordinated attacks in Paris left 137 dead and over 228 wounded. In the summer of 2016, a priest’s throat was slit and four nuns taken hostage in a church in Rouen, and on July 14, a 19-ton cargo truck was slammed into a large crowd of people in Nice, killing 86 and injuring 434. The state of emergency in France has recently been extended until at least July 2017.